In J.B. Priestley’s Dangerous Corner, it takes nothing more than a chance remark to set in motion a chain of revelations that have devastating consequences for the guests at publisher Robert and Freda Caplan’s country house dinner party. Opening and closing like an intricate Chinese puzzle box, the plot unravels as each guest reveals their part in the suicide of Robert Caplan’s brother a year earlier. 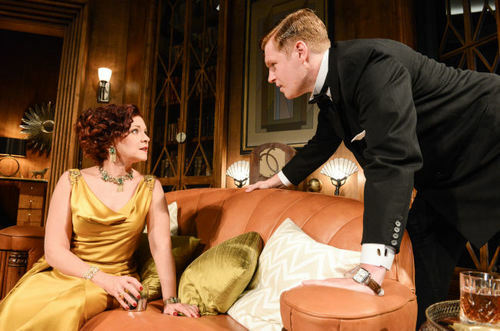 Priestley’s first play, written in 1932 isn’t the world-renowned masterpiece that An Inspector Calls is, but it is a work that clearly highlights the promise of its writer. 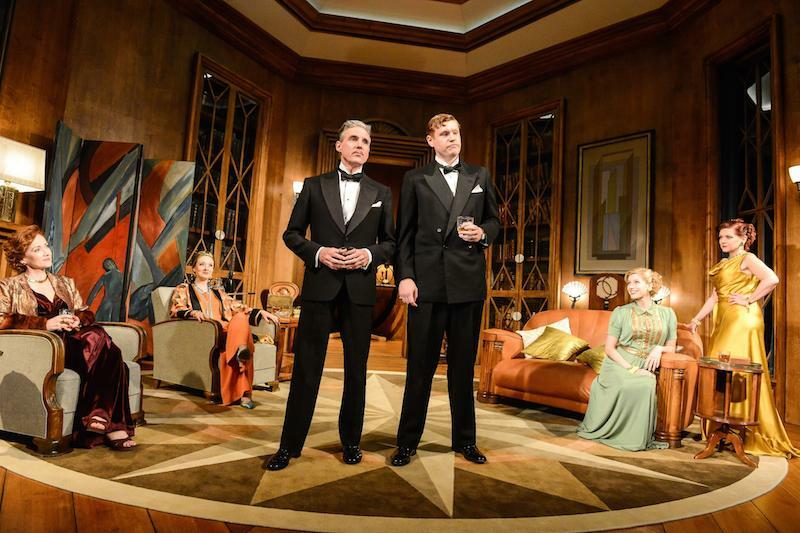 Whilst in many ways the piece is very much of its time: the country house setting, the upper class at play, it is also astonishingly ahead of its time, dealing as it does with drug abuse, homosexuality and adultery, themes rarely touched upon in 1930s theatre. Played out against the detail-perfect Art Deco set and costume design of Gary McCann, director Michael Attenborough does a fine job of keeping the interest high in what is essentially a static piece. He does however have an easy job thanks to the top-notch cast. Michael Praed is particularly note-worthy as the debonair and devilish cad Charles Stanton, who as well as poking and prodding his fellow guests into revealing more than they they would ideally wish to, delivers his own startling revelations and elicits the lions-share of the laughs with a biting wit. Finty Williams as Caplan’s wife Freda, is effective in portraying both her own disparate emotions and the social dilemma of whether or not to serve sandwiches to her guests, one of whom may or may not be a murderer. Rosie Armstrong, assuming Kim Thomson’s pivotal role as Olwen Peel is also impressive. The trio are more than ably supported by familiar TV faces Colin Buchanan (Dalziel and Pascoe) as a solid Robert Caplan and Matt Milne (Downton Abbey) as Gordon Whitehouse, though at times Milne looks a little ill at ease in his transition from downstairs to upstairs as troubled (and slightly hysterical) toff Gordon. Don’t go looking for any controversial comment on the themes that are mentioned in the play, go along and enjoy a hugely entertaining piece of theatre from a highly talented cast and a skilled director and writer.